Epic Games today announced the latest recipients of Unreal Dev Grants, a $5 million initiative that awards developers with no-strings-attached funding for their valuable contributions to the Unreal Engine community. Spanning a wide array of projects, including video games in development to the work of diligent online community supporters, today’s recipients are receiving a total of $204,000. Area 35 invites players to join second lieutenant Nathan Gries and his troops in TINY METAL, a turn-based strategy game heading to Nintendo Switch, PlayStation 4, PC and Mac later this year. Players help Nathan defend against the invading Zipang army with ground and air units. TINY METAL will be playable in the Indie MEGABOOTH, sponsored by Unreal Engine, starting next week! Pyotes: Need To Survive features a race of extraterrestrial origin whose civilization, on the brink of homelessness, searches the universe for the ideal planet to inhabit. With a mix of adventure and strategy gameplay, Pyotes brings to life original characters and a rich world through high-quality animations and artistic detail. Naval combat meets grim fantasy and magic in Gunpowder Games’s debut title, Maelstrom. 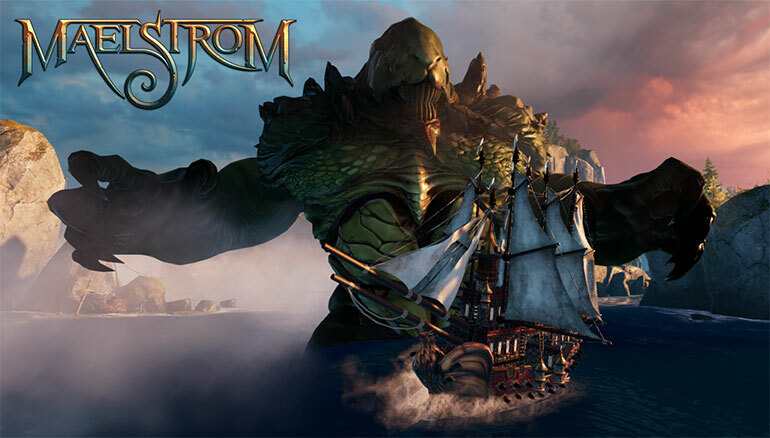 Players captain Orc, Dwarf or Human warships and sail the turbulent Abyssal Ocean to tackle single-player challenges and multiplayer skirmishes. Check out their recently launched Kickstarter for more information. Set in the future, Bright Memory is a first-person shooter built entirely in Blueprints by Chinese solo developer Zeng Xiancheng. The impressive game combines many action gameplay elements to give players an unforgettable experience and is due out in 2018. Find out more on the developer’s YouTube channel. Developed by Colombian independent team Efecto Studios, Decoherence is a battle strategy game in which the player sets up a team of robots and pits them against an opponent's team. Read more on Efecto and their insight into the Colombian games market, and watch the Decoherence Alpha Teaser Trailer. Five Minutes Rage is a unique 2.5D multiplayer game packed with adrenaline where two teams of "junkbots” battle to the death with cannon shots to throw the ball into the goal. Get more info on this Early Access title at Indomitus Games’ website. Project Wingman is an independently developed combat flight action game with an emphasis on refined gameplay, true-to-its-roots inspirations, and a single-player experience that puts the player in the flightsuit of a mercenary combat pilot in a world on fire. Read more on Abi Rahmani’s developer blog and be on the lookout for the game’s upcoming Kickstarter campaign. Giraffe and Annika is a 3D adventure game for PC where the player follows the story of the cat-eared girl, Annika, as she explores the mysterious island of Spika. The Blueprint-driven game from KamiPallet features music-based battles with synchronized animations and effects. Giraffe and Annika is due out on PC in 2018. The debut title from Sornyak Arts, an independent Czech-Slovak studio, is Legion 1917: Rise of the Bolsheviks, a story-driven tactical strategy game for PC, Mac and Linux. The hand-painted journey unfolds where the Russian Civil War begins and eventually engulfs the country in flames. Exploration of the land and interactions with characters and objects flows in real time, whereas skirmishes open up a distinct turn-based combat mode. St. Petersburg-based independent studio Octobox Interactive are making the Western-themed VR shooter High Noon as well as the tactical mech battle game Project Echo: Knights of the Future with UE4. Sky Noon is a first-person shooter with brawler mechanics from New Zealand developer Lunar Rooster. Players are equipped with a grappling hook, a lasso and an arsenal of weapons and abilities. Read more about Sky Noon here and check out the game’s Steam page. Chinese Developer LG Tang has been instrumental in supporting the Unreal Engine community in China by translating many tutorials and other informational videos. 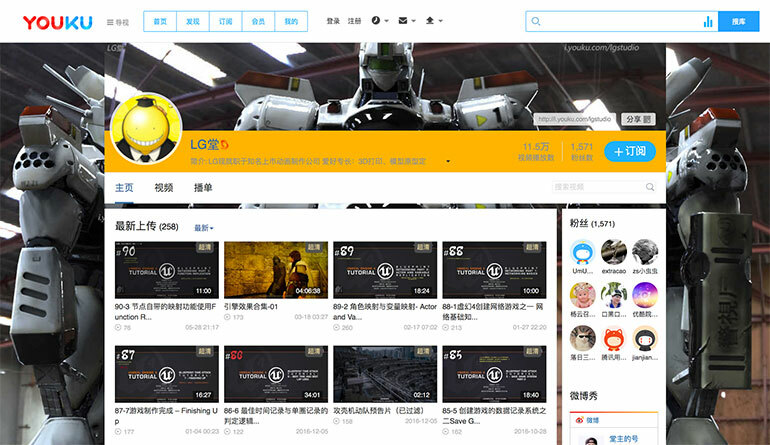 Find hundreds of LG Tang’s UE4 videos on Youku. Dustin Lee has created numerous high-value learning resources for Korean developers covering many aspects of game development in Unreal Engine 4. Find more on his YouTube channel and blog. The Utah-based team at Fractal Mob has always loved foosball and video games but felt a bit underwhelmed when playing modern day foosball video games. A lack of physical input was the primary problem but, even then, something was missing. “Foos” manages to keep the physical input everyone loves while adding crazy arcade elements thanks to their clever use of UE4 in a table-top setting. It’s a fun, exciting and refreshing take on the classic experience. Fractal Mob specializes in virtual reality and real-time visualization, and can be contacted on their website. Absolute Elimination is a wildly popular mod for Unreal Tournament. It provides a round-based, team-oriented survival mode to the game inspired by celebrated mods in previous Unreal Engine games. The developer, Scoob, has been maintaining support for the mod for over a year by implementing community feedback, providing version changelists and documenting known issues. Read more about Absolute Elimination on Scoob’s forum thread.